Recently, you may have received a letter from Cecil County Government informing you that Cecil County is in the process of developing a Tiers Map as required by Senate Bill 236. We, as a Board of County Commissioners, agreed it was important to notify the landowners with 20 or more acres on the effect this legislation would have on their properties. It's come to my attention that you may have also received another letter from David Williams on behalf of the Cecil Business Leaders which grossly misrepresents the facts. I am in opposition to Senate Bill 236 and any State legislation which usurps the authority of local planning. 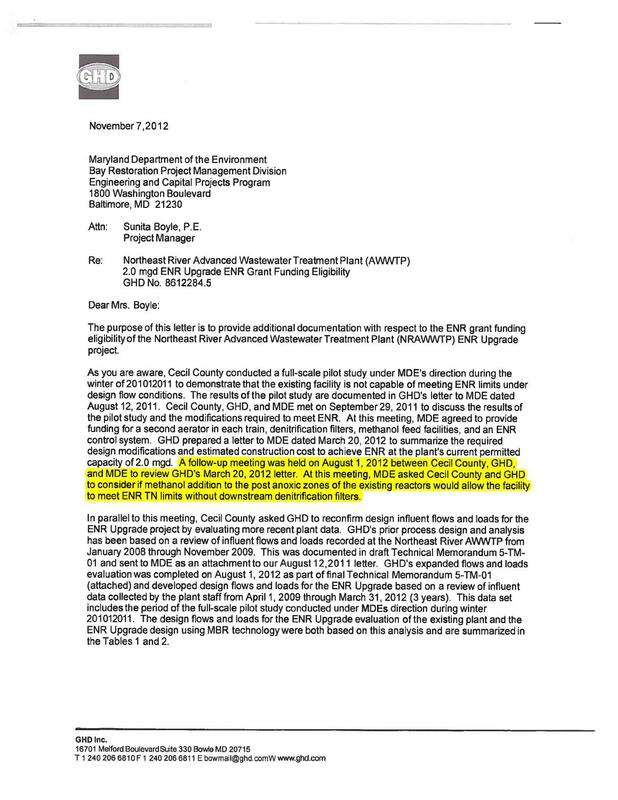 While I believe the State has overstepped their authority and this is just the beginning of the Plan Maryland doctrine, our Planning and Zoning department recommended to not ignore SB 236 because the State could later impose penalties for our refusal to cooperate. A guidance document for implementing the Tiers was provided by the Maryland Department of Planning and stated that Conservation Areas, Priority Preservation Areas and contiguous blocks of forested or agricultural areas were required to be located in Tier 4. I have advocated a map which reflects the adopted 2010 Comprehensive Plan with more of the Tier 4 removed and placed into Tier 3. The map which Mr. Williams supports selectively removes portions of Tier 4 which benefits certain landholders over others. The Planning Commission at their August 20 meeting agreed with my proposal that we use a policy that is fairly and equitably applied in the Tier 4 area and tasked Planning and Zoning to come up with those policies. I especially believe it is egregious that the Tier 4 area will be downzoned and had requested that the letter going to the landowners in the Tier 4 area include the sentence: “Because the Tier 4 designation changes the density in the NAR from 1-10 to 1-20, many landowners believe the resulting devaluation of properties is unfair and an abuse of power by the State of Maryland.” The other Commissioners did not want to include because the letter was coming from our Planning and Zoning Director and they didn’t feel it was appropriate. 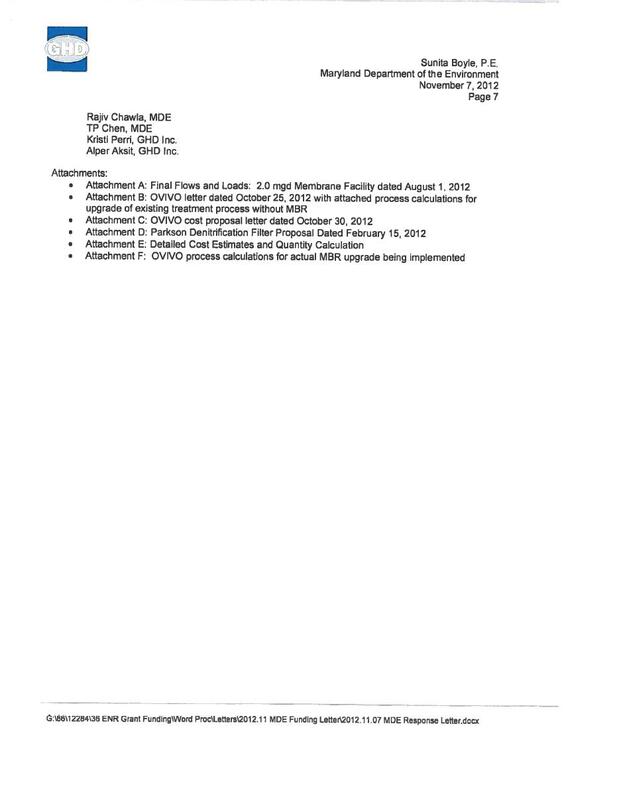 http://www.ccgov.org/uploads/PlanningAndZoning/AudioUpload/Aug%202012%20PC.mp3 Comments start at 1:12:45.
http://www.ccgov.org/cmup/ws/08.28.12.worksession11.commissioneritems.mp3 Comments start at 8:05.
http://www.ccgov.org/cmup/08.21.12.boccmeeting2.informationalitems.mp3 Comments start at 14:50. I have been a strong advocate for the agricultural industry in Cecil County in my support of agricultural preservation programs, expanding allowable agricultural uses, promoting value added farming, supporting the farm museum and nominating a representative for the agricultural community to serve on the Economic Development Board. In the August 22 edition of the Cecil Whig, the picture on page A11 indicated that Cecil County Farmers protesting SB 236 also posted a sign “Please Stop Broomell”. Wayne Stafford, President of the Cecil County Farm Bureau, assured me that it was not one of their signs. I was later told by a fellow Commissioner, Robert Hodge, that this was the same sign which Cecil County Patriot, Ron Lobos, has used in other locations. For the record, I do not support the State’s mandate on the Tiers map and I have advocated a map which reflects the adopted 2010 Comprehensive Plan and would like to see more of the Tier 4 removed and placed into Tier 3. The map which the Patriots and the Cecil County Business PAC support selectively removes portions of Tier 4 in an arbitrary manner and includes portions of Commissioner Hodge’s property on the Elk Neck Peninsula. The Planning Commission at their August 20 meeting agreed with my proposal that we use a policy that is fairly and equitably applied in the Tier 4 area and tasked Planning and Zoning to come up with those policies. Statement read at the 7/31/12 BOCC Worksession Meeting: What is the Board of County Commissioner’s policy for prioritizing bridge repairs as well as the scope of bridge repairs? I previously posed this question to Director Flanigan and was told that several factors weighed into this: cost, current and anticipated use, location (whether it’s in the priority funding area or outside), and I would like to include political will. It has become increasingly apparent that the scope of the Old Elk Neck Road project from just a simple replacement to a large infrastructure expansion outside of the priority funding area is being driven by this very issue. If you argue the large infrastructure overhaul allows for emergency equipment to cross the bridge for improved emergency response, bridges for Mill Lane in Earleville and Rolling Mill in North East were also supported by the local fire departments for improved emergency response. After speaking with many citizens in the Old Elk Neck area, the overwhelming majority agree a bridge replacement would be adequate for this area and understand why it would not be fiscally responsible to invest close to $5 million in a non priority funding area. If we did a bridge replacement minus the road widening and some of the other improvements, I believe there would be enough revenue to replace the bridge at Rolling Mill and possibly complete some of the work on Mill Lane. If we do bridge replacements we need to make sure all the taxpayers are being served in an equitable manner and that the Board of County Commissioners are following a policy that is consistent across the board. I contacted Phillip Pearce who headed up the Friends of Mill Lane and he provided a history on how the Board of County Commissioners at first agreed to reopen this area for traffic but then, he believes, succumbed to political will from a commissioner that lives on this road and likes his privacy. I’m not sure if that’s the case, but I do want to explore if there is funding still available from the Spectron Settlement that was previously approved to be used for remediation on Scotchman Creek. The previous $3.2 million estimate to reopen the road is no longer valid because a dam replacement is not possible and other less costly options which include installing a culvert have not been assessed. I have also contacted a representative from Benjamin’s Lumber in North East and they have actively pursued the replacement of Rolling Mill Bridge. The Mayor of North East also confirmed that he would pursue financing with his board to help with the replacement of the bridge. Director Flanigan and Director Brooks as well as the local fire department and police have also identified this bridge replacement as critical due to water plant issues, emergency response and access to local business and alleviation of traffic congestion. Director Flanigan also stressed that it should be the position of the County that only as a last resort we would remove a bridge from our inventory because once that road is closed, it’s difficult to open it back up and it’s in the county’s best interest to not take any bridges off our inventory list. On Thursday, June 11 I attended the 7:30 am CCPS Meeting to request the purchase of the Basell Building for a new School of Technology. The presentation sounded very convincing and provided many reasons to support. However, there are two sides to every story and I would like to provide some of the reasons why I am not in support. Let’s be clear, this is not a comprehensive high school. Many agree that too much time is lost in a student’s day with the current format of reporting to two different schools in one day. A Comprehensive High School would include all of the classes. The number of students attending Cecil County Public Schools has decreased since 2006 and as a result, the State will not fund a Comprehensive Technical High School. Probably a good reason CCPS should not be expanding their school infrastructure at this time in this economy. With additional buildings comes additional operational costs per year (staff, maintenance, etc.) and that funding would be put to better use on CCPS current programs. 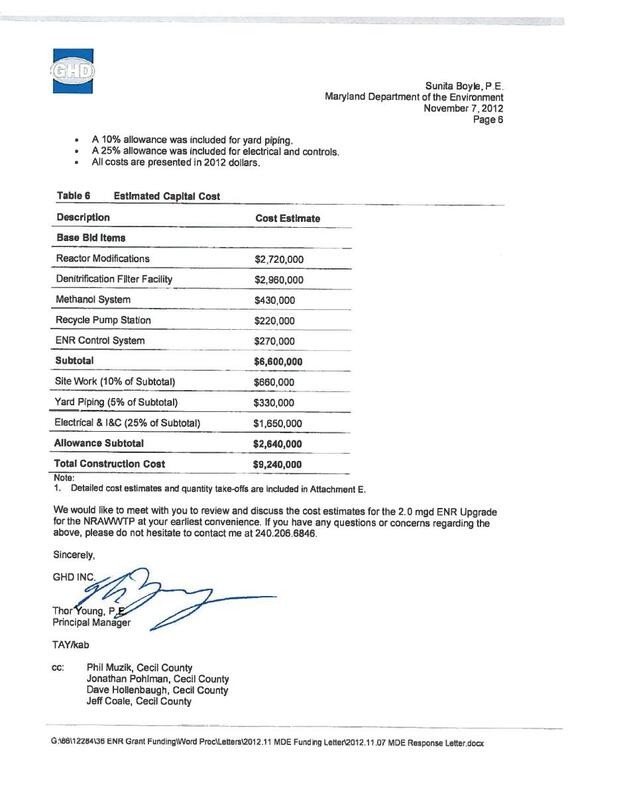 The substantial increase in operational costs for a new building will likely mean an increase in taxes and at this time the Board of County Commissioners has agreed to not raise taxes. When the school populations increase and the State funding kicks in for the new Comprehensive High School, the current site location adjacent to Cecil College would make more sense in partnership opportunities with the college. It should be mentioned, we have already invested on engineering plans for this location. If we purchased the Basell Building, the Comprehensive High School will be scrapped and CCPS will be committed to the current format of a technical school instead of a comprehensive high school. Why haven’t we explored other less costly options for expanding the School of Technology? Individual technical programs could be located in schools that are below capacity. I see that CCPS currently rents space on Bridge Street? Why isn’t that an option for individual technical programs? Has CCPS fully explored opportunities with the private sector to contract out some of their programs? Treasurer Feehley had explored initial cost options for Cosmetology Programs: Private sector charges $5,500 per student and it’s $12,000 per student cost with CCPS. The other reasons which ultimately led to my vote: (1) The Basell Property is prime real estate attractive to research and development companies, (2) We would lose the property tax revenue which is currently over $65,000 and with 90 acres at the site there is a much higher potential for the future, (3) Renovation costs which CCPS projected seem to be unrealistic. 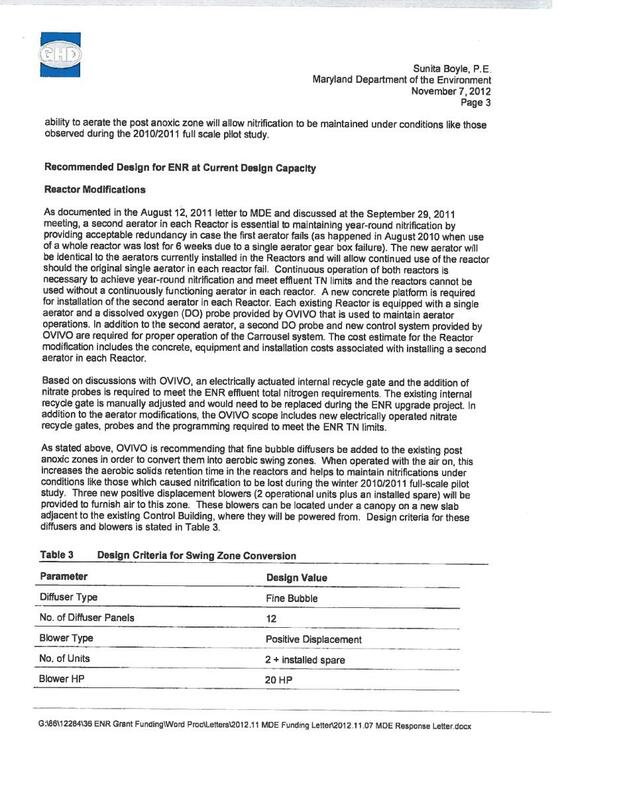 CCPS did not include the replacement of the HVAC System and initially the school said the $44 per square foot renovation cost was low because they were only renovating what they would be using (1/3 of building to start). I agree that quality of education greatly affects economic development which CCPS used to justify taking the Basell Building offline. But once you are presented with all of the facts, I believe this proposal is not a wise investment for CCPS or economic development. This was the comment made by our current Chairman of the Ethics Commission, Michael Burns, and I agree. In 2011 there were 12 who never filed a required disclosure form and I support Mr. Burn’s recommendation that we remove those serving on boards that fail to file and ignore repeated requests. 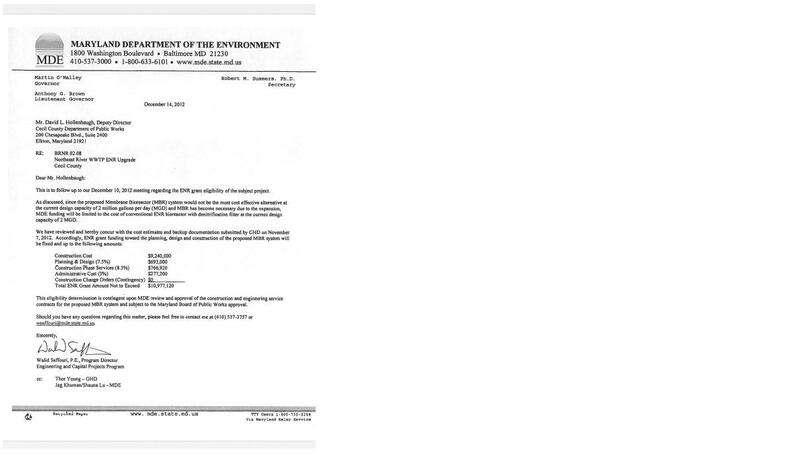 What motivation is there to file disclosures if there is no penalty? In my opinion these are reasonable requests that are vital to the integrity of the ethics process. I was somewhat surprised by the comments of Commissioner Hodge: “We have a responsibility to not request this information” or "Sometimes people would like to keep their personal information personal.“ And Commissioner Moore asked, “How would this make someone a better committee member?“ My answer is that transparency helps keep everyone honest. I did address the breaking of the sewer contract deal with Artesian but it appears there are those that want to continue to muddy the waters. Fact #1: We didn’t break the deal, that was Artesian. 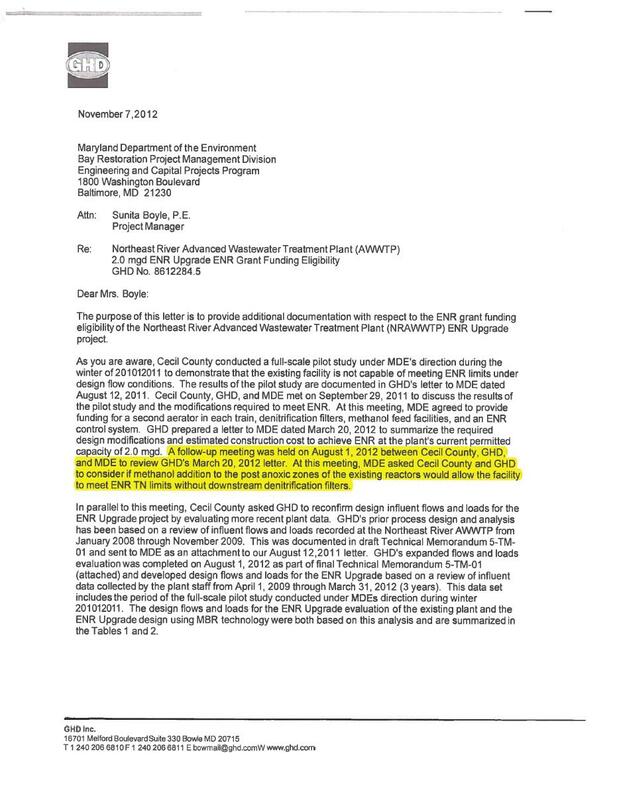 Fact #2: We do have a plan as our DPW Director has already addressed. Fact #3: Commissioner Hodge eluded that the dirty little secret keeping the county from getting infrastructure in the growth corridor was due to lack of political will to increase rates. The current economy reflects a lack of development activity overall. Therefore if we don’t have demand, raising the rates won’t address the issue. Instead we should be focusing on creating demand and developing shovel ready projects in the growth corridor. Fact #4: While the sewer sale would have taken some of the aging plants off the county’s hands, Artesian would have been acquiring Meadowview Treatment Plant well below the market value along with the ability to earn nutrient credits which they were not willing to share with the County. Fact #5: All of the Commissioners agreed that they had concerns in the contract they wanted to revisit with Artesian, but Artesian declined. 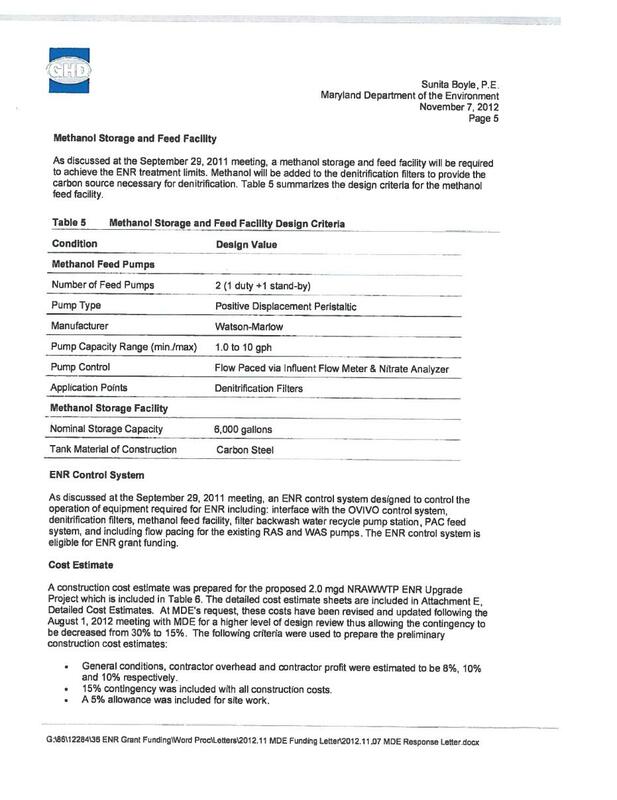 They included: Sale of Meadowview Plant, possible sharing of nutrient credits, County servicing the Meadowview Bond, Timeline of Wastewater infrastructure implementation in Route 40 Corridor, wastewater expansion restricted to growth corridor, provide for clarity with respect to the drafting of water and sewer plan amendments, rate increase concerns, refinement of nutrient credit provision, who has growth control and was the county properly compensated for wastewater assets. The dirty little secret wasn’t the county’s lack of political will to raise rates. 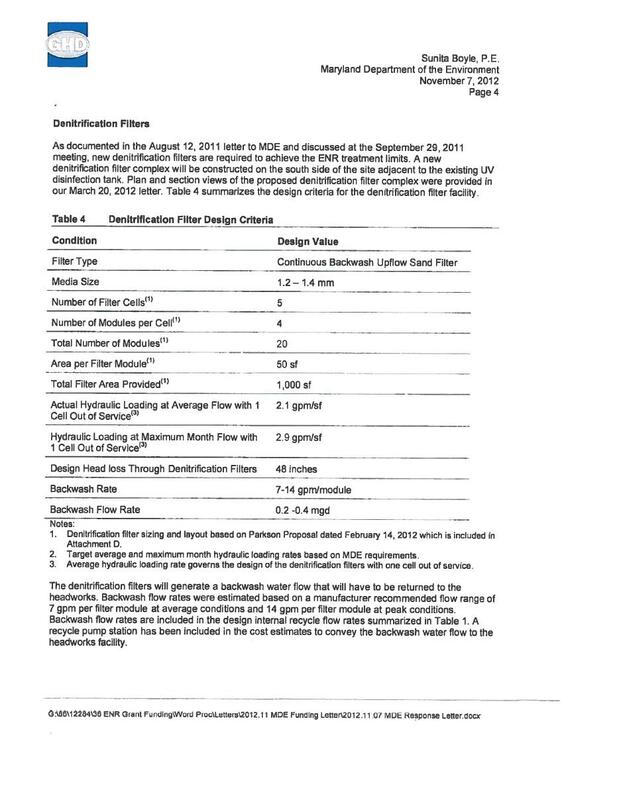 It was that Artesian’s priority was to provide infrastructure where the demand was which is usually residential, the attorney representing the county did not hold Artesian to a timeline commitment for getting infrastructure in the growth corridor and that Artesian puts the burden of infrastructure costs on the users by raising rates and hook up fees. Once again, Artesian is beholden to their stockholders to earn profits and the County Commissioners are elected to look out for the common good of the county. From the very beginning, the water sewer deal was fraught with conflict of interest and lack of transparency. Which reminds me: Mr. Cochrane you were removed from your appointed Cecil County Committees for not providing the required disclosures. Can you provide now to show your motives are for the benefit of the county and not for personal gain? 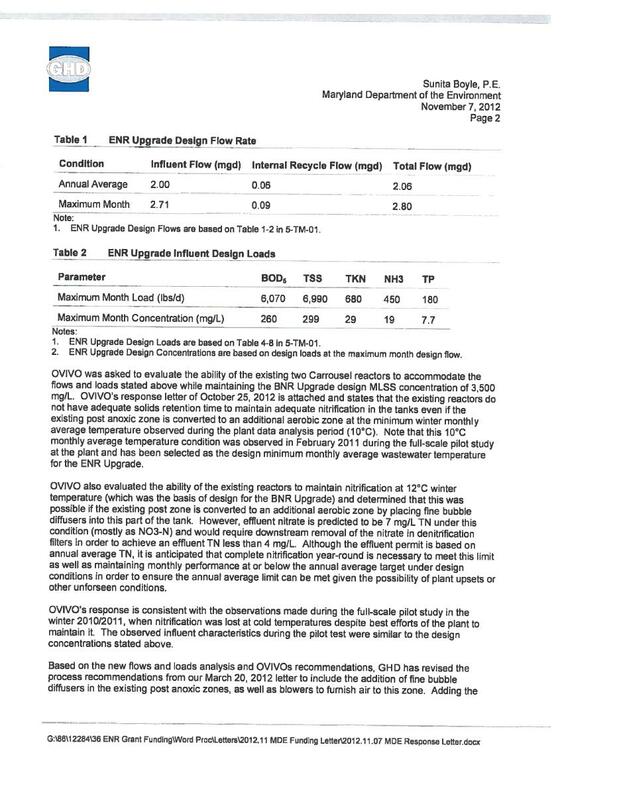 While the revision of the toll increase plan accommodated the commuters and two-axle vehicles, everyone else doing business or recreating in Cecil County with three or more axles will see substantial increases at the Hatem Bridge due to the phasing out and eventual elimination of the discount coupon program. For example, a three-axle truck currently costs $3.20 per trip with the coupon book, on Jan. 1, 2012 it increases to $4.80, on July 1, 2012 to $7.20, on Jan. 1, 2013 to $10.80, and on May 31, 2013, the coupon books expire, increasing the cost to $16 per trip. That's $3.20 to $16.00! The toll increase will be counter productive to the goals and objectives of creating and sustaining jobs in this region and is definitely not "reasonable" as a state delegate recently claimed. I encourage all businesses impacted by these toll increases to attend and comment on how their businesses will be impacted at the Maryland Department of Transportation Meeting, scheduled at the Administration Building for Nov. 4 at 2:30 p.m. The Guardian and Cecil Times claim to be reporting the news but they are nothing more than propaganda tools. They provide stories of public interest so they can mask their other stories as legitimate. While I don’t always agree with what is printed in the Cecil Whig, they have consistently provided me an opportunity to submit a rebuttal while The Guardian and Cecil Times have consistently not printed or posted my responses. For the best source of information, listen to the audios of the commissioner work sessions, commissioner meetings and Citizen’s Corner. You can access at www.ccgov.org under Commissioner Meetings. Propaganda is controlling the news - not reporting it. What is a Newspaper of Record? Guardian is actually free and doesn’t have a periodical permit, they do not meet the qualifications to advertise legal notices. Another point is that the County’s responsibility is not only to determine who is legally qualified but also which publication is the most qualified. As public servants, we would not be looking out for the public’s best interest if we chose a publication just on bid price alone. We also have an obligation to make sure we select the publication which most effectively reaches the public so they will have an opportunity to pay off their property taxes before it goes to tax sale.